Hello everyone, this is Solid Snake, and we've been busy for a long time preparing this new review about my latest CPU Upgrade. 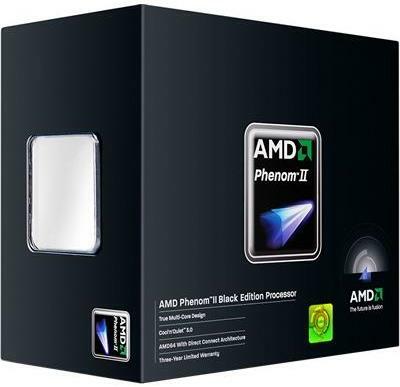 we're talking about my brand new AMD Phenom II X4 965 125W Black Edition. This beast was definitely worth its money and proved to be an extreme overclocker.. and by saying it, we really mean it. Plus don't forget that this is a Black Edition CPU which means it has an unlocked multiplier which far extends the oveclockability possibilities. Now let's get down to the process. As this CPU was an upgrade to my previous one we had to compare these two in order to check the performance difference and upgrade value. So before getting my beloved AMD Athlon 5200+ , which has been serving me well for 3 years now, off my mainboard, we decided to overclock it as far as possible for one last time using extreme conditions, make a lot of benchmarks and then do the same to my new AMD Phenom II 965 one..
For extreme overclocking we've used Air Condition Cooling which gave us perfect temperature values down to 17-24 degrees during the whole process (I almost got a cold that day :-) ). using Fraps V.3.2.3 Build 11796 to collect the FPS values. So after days of benchmarking my old AMD Athlon 5200+ it was time to switch to the new AMD Phenom II 965. So we downloaded and flashed my mainboard to the latest BIOS available, entered safe mode, uninstalled the previous processor from the device manager and turned off the whole system. We got the Xigmatek HDT-S963 cooler out, then the old CPU. Cleaned the cooler surface, inserted the AMD Phenom II 965 in the socket, applied some fresh XILENCE ZUB-XPTP .X5 X5 thermal grease, and installed the cooler back in. After everything was set up correctly, we powered on the system and entered bios to check if the readings were correct. Then we entered Windows 7 and re-did the benchmarks using the default settings with no overclock applied. Αναρτήθηκε από Solid Snake στις 6:26 π.μ. mahasiswa teladan 5 Νοεμβρίου 2013 - 10:36 μ.μ.